Actor Producer Sohum Shah who recently attended the screening of superstar Shah Rukh Khan’s Zero feels his life has come to a full circle. It was after Sohum watched Shah Rukh Khan’s DDLJ he thought of becoming an actor and since then he has been working hard to achieve his dream. So many years after the release of his first film the actor finally got an opportunity to meet his idol Shah Rukh Khan. Shah Rukh Khan before the release of his film arranged a special screening for the Bollywood fraternity where he had also invited Sohum to watch the film. After the screening Sohum personally met the Superstar and congratulated him for his latest release. 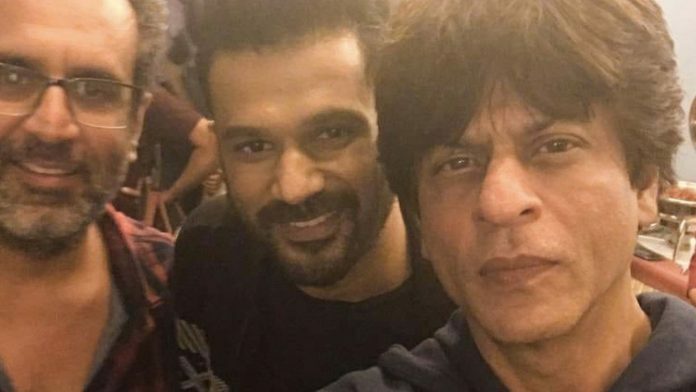 Earlier when Sohum Shah starrer Tumbbad’s trailer was released Shah Rukh poster took to his Twitter and appreciated the project and Sohum’s work. While his most ambitious film Tumbbad continues to wow audiences on one of the online streaming platforms, he is back to his first love, acting, and 2019 is already sounding extremely busy for the actor. Previous articleHere’s Why Sara Ali Khan’s December Debut Is Special! Next articleAanand L Rai’s Zero Starring Shah Rukh Khan Garners 20.14 Cr On Day 1!